artphotonics 180nm-18μm broad special-fibers-and-fiber-cables Fibers, cabling, connectors and distribution Uniqueray Technologies Co., Ltd. The steady flow Optical Table Systems Fibers, cabling, connectors and distribution CN-OPTO INSTRUMENT INC. 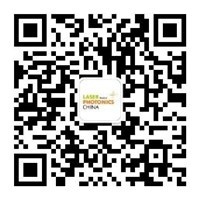 Underwater Green LD Laser Illumination/Communication Equipment Fibers, cabling, connectors and distribution Beijing Huaxiaguanggu Technology Co.,Ltd. Fiber Patchcord/Polarization Maintaining Fiber Patchcord Fibers, cabling, connectors and distribution Jiangsu LightUp Optoelectronics Technology Co., Ltd.
Polarization Insensitive Isolator Fibers, cabling, connectors and distribution Jiangsu LightUp Optoelectronics Technology Co., Ltd. Fiber Interferometer Fibers, cabling, connectors and distribution Jiangsu LightUp Optoelectronics Technology Co., Ltd.
PM Fused Coupler Fibers, cabling, connectors and distribution Jiangsu LightUp Optoelectronics Technology Co., Ltd.
Singlemode Wavelength Division Multiplexers Fibers, cabling, connectors and distribution Jiangsu LightUp Optoelectronics Technology Co., Ltd.